Founded by the late Peter Ward in 1973, Ward is a multi-disciplined and full-service civil & environmental engineering contractor. With a history of over 40 years, offices in Sydney and Newcastle and a workforce in excess of 150, Ward prides itself on the technical capabilities of its experienced construction staff. The capabilities that Ward offers to its clients are varied and comprehensive, including all aspects of excavation, civil engineering construction and remediation. The company prides itself on providing its diverse client base with beginning-to-end solutions. Ward works in harmony with its clients, providing a tailored service and value-add solutions that nurture the most complex projects to completion on time and on budget. Ward is renowned for the emphasis it places on the environment and the safety of all people on their sites. How has Ward implemented and used Dashpivot? For those who haven't heard or of have heard of but never understood what it is, an internal management system consists of individual processes and resources, that are joined to achieve certain objectives in an effective and efficient manner. Most companies have an internal management system made up of fragmented tools and parts, which they cobble together and make work in order to use tools more suited to specific tasks or use cases. With Dashipvot, Ward saw an opportunity to consolidate all of its tools and processes into a consolidated, entirely digital and intelligent internal management system. One of the messier elements of an internal management system is the documents which a company uses for its standard operating procedures. Ward manages a number of projects at any one time, with a workforce of over 100 people, who perform a number of unique jobs and duties which each have their own compliance and reporting rules and regulations. This means that it's difficult to manage the sheer number of documents; to standardise document creation across the company; and to ensure that people are pulling from and completing the right forms to adhere to regulations. This problem is not unique to Ward. In fact, it is almost all companies - and it gets more complicated in larger organisations, even with the additional resources and tools available. To solve the IMS problem, Ward has gradually transitioned their documents away from their manual and fragmented management system to Dashpivot. 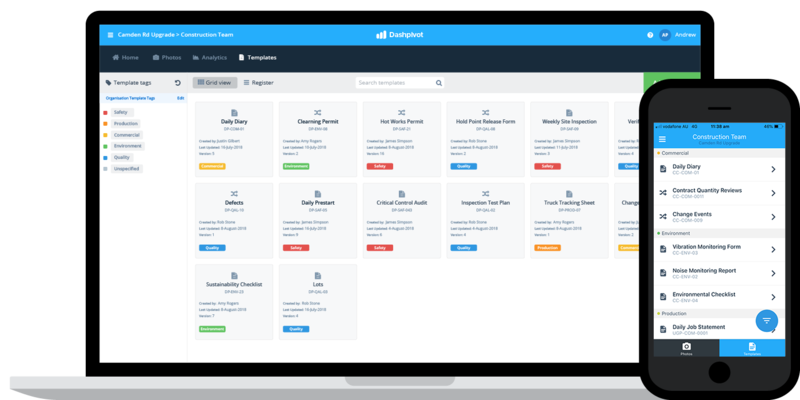 Dashpivot helps Ward create master templates, deploy standardised documents to projects and teams, and track and organise completed documents. Ward now has a single library of safety, commercial, environmental and quality templates which they can deploy to their teams and projects in an instant, and edit in the knowledge that those edits will be reflected in every other version. Each template deployed to a project or team is instantly and always accessible to the teams on site, who fill their forms in on mobile or tablet with the power of digital signatures, notifications and other smart features. 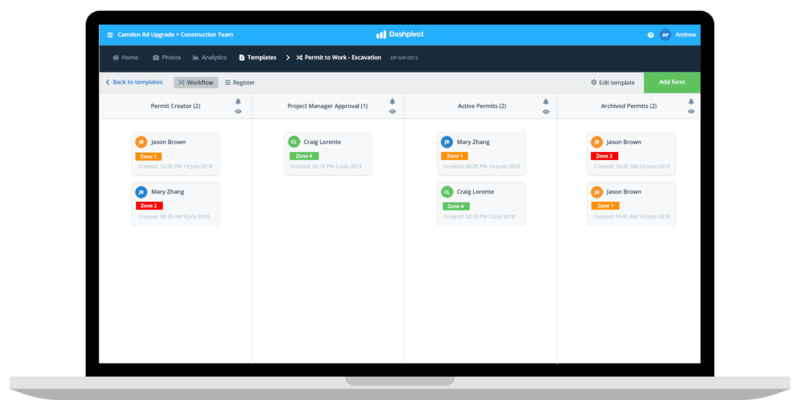 Once completed in the field, forms are automatically pushed to Dashpivot in real-time so that project managers and management staff including Brian Mahon (COO) can see what's happening on their projects at all times. Site workers can also jump on their computers and access Dashpivot to download, print, share and format their form entries. They don't need to duplicate work by manually inputting the data they captured earlier in the day; nor do they need to spend time uploading and emailing multiple forms. They capture information on site as it happens, and then download or share a single complete version of that form when it is required. With an intelligent digital system of record, engineers, foremen and project managers spend more of their time doing engineering and less time doing admin and paperwork - while the organisation is able to maintain control of their documents and easily manage document records. Outside of documents, an internal management system must feature, structure and organise other files including media. 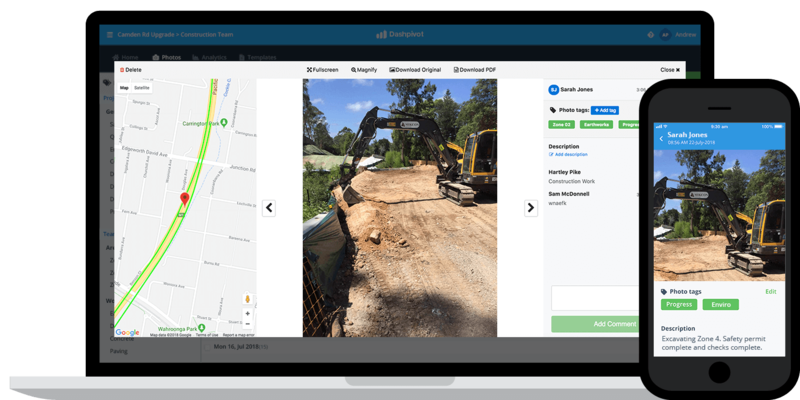 Ward, like any company working on projects, captures thousands of progress photos and videos, as well as photos and videos associated with particular quality and safety issues. With a fragmented IMS, it's impossible for a company to keep tabs and organise these thousands of photos. Some photos are stored on individual hard-drives; some are in organisational folders; and others are deleted before they even get close to the management system. Dashpivot now serves as that centralised and organised storage point for Ward's project photos. Ward employees document their photos and videos directly inside of the Dashpivot app, and these media files are updated to the Ward photo library in real-time, removing the chance for anything to get lost or forgotten. Using a smarter photo management system comes with additional benefits as well. Photos can be organised with tags (commercial, safety, progress etc.) so that they can be easily grouped and filtered. Dashpivot also enables Ward to search for photos taken by a specific person, or photos taken on a specific date, giving them more control over their project records and importantly - their project proof. An additional feature of Dashpivot which Ward has been able to benefit from are the automated workflows. When someone at Ward creates a permit on site (along with change orders and other approval based documents), it is automatically moved into the first workflow column. Once the permit creator finishes that permit and signs it off, it is automatically pushed to the next column which might be a supervisor or project manager. The supervisor or project manager is instantly notified when the permit or document hits their column, and they can go into the document, read it, assess it, and then sign it off as well. Once they have signed it, the permit moves on to the next column until it reaches the phase of closed or archived. These workflows remove the need for emailing documents back and forth, and mitigate the chance that anything important gets missed. And if it does get missed, Ward knows who's column it is sitting in! All of these workflows, as well as the notifications are customised by Ward to suit their teams and individuals. Because Ward has standardised its documents under a digital and intelligent IMS, it can pull real-time analytics from the forms being filled in on site. 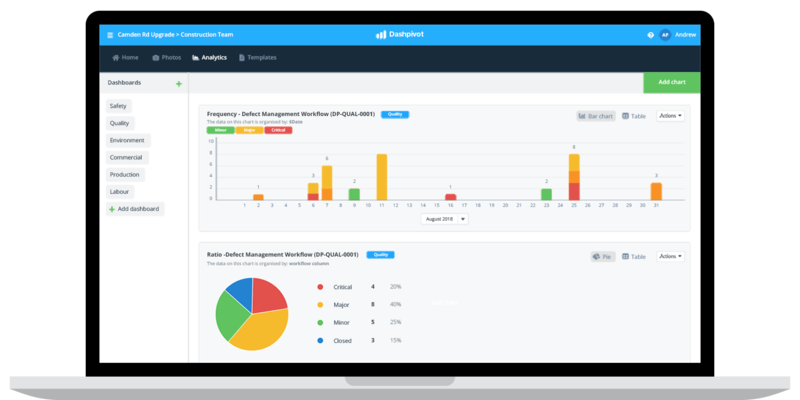 Once Ward employees switched to using Dashpivot to fill in their forms, it was a no-brainer for the teams and organisation to start gathering real-time insights from those forms. As an example, Ward has set up a production Dashboard, where it has a number of charts created and live, pulling data from their site diaries and other forms. Some of the items which Ward can capture in real-time with Dashpivot include the quantity of labour hours on a project; the quantity of materials used; and the unit cost of earthworks. Ward can capture and track all of this, without looking for or gathering any forms; without doing any manual data entry; and without building complex graphs or formulas in excel. It's all automated from the events which take place every day on site. What has digitising their IMS with Dashpivot done for Ward? Ward has been able to streamline all of its projects, teams and forms with Dashpivot. By making the commitment to digitise and modernise their internal management system, Ward has seen improved efficiencies and outcomes across their entire workforce. Their people spend more of their time doing valuable work and less time managing documents; they have greater insight and visibility into what's happening on their projects; and they have been able to build an efficient IMS which has given them a true competitive advantage in every day operations.